A 20-page study issued by the urban research and advocacy organization known as Regional Plan Association in mid-February found that a shutdown of a 110-year old, two-track train tunnel under the Hudson River would cost the U.S. economy $16 billion over four years, with more than half of that cost coming from the time lost by workers from longer daily commutes. The report also noted that nearly half a million people would have longer, less reliable and more crowded commutes due to a tunnel shutdown as well. 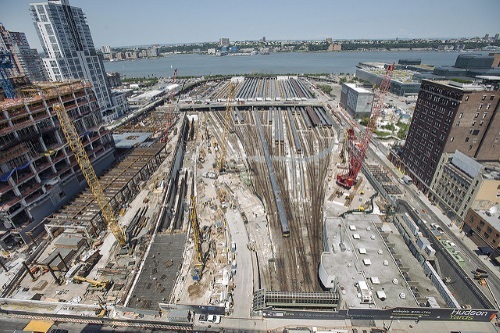 The group noted that because the damage from Sandy cannot be fully repaired without closing down each of the two tubes in the tunnel, the only way to avoid several years of sharply reduced service is to build a second tunnel that could keep full service running while the existing tunnel is repaired – yet it will take several years to construct a new tunnel and full construction cannot start until funding is secured.